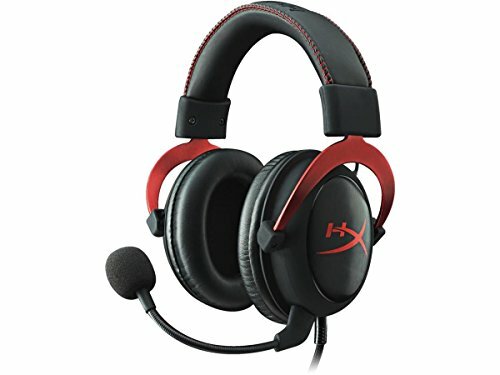 Finding an excellent gaming headset under $100 in 2018 is easy. Gaming is now more popular than ever, and news of professional gamers winning huge sums of money in tournaments have become so common that people who don’t play games don’t even raise their eyebrows anymore upon hearing them. Established and new manufacturers of headsets and gaming accessories alike have released countless excellent products, and we bring you our 5 favorite gaming headsets that you can buy right now. SteelSeries as a brand isn’t new to gamers. This Danish manufacturer of gaming peripherals and accessories started in 2001 and quickly became popular after releasing several highly rated gaming mice and keyboards. 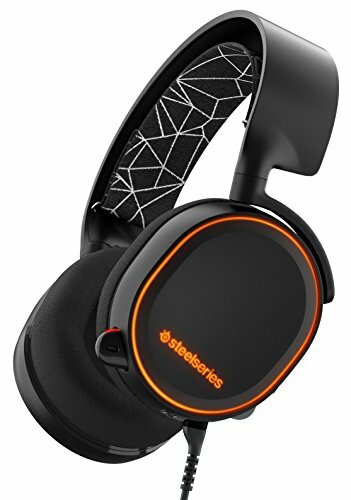 Today, SteelSeries offers a wide range of gaming-related products, and its headsets are regarded by many as the best choice for budget-minded gamers who are not willing to settle for budget quality. The Arctis 5 are exceptionally comfortable over-the-ear headset with a detachable microphone capable of delivering studio-quality voice clarity and background noise cancellation. The headset is compatible with all platforms, PC, PlayStation, Xbox One, Nintendo Switch, VR, and mobile. It features the S1 speaker drivers, which were engineered for accurate sound reproduction and a true surround sound experience. A built-in volume control knob and a dedicated microphone mute button allow you to make easy adjustments on the fly, and the reinforced adjustable headband with a comfortable and swappable suspension band ensures flawless long-term listening comfort. 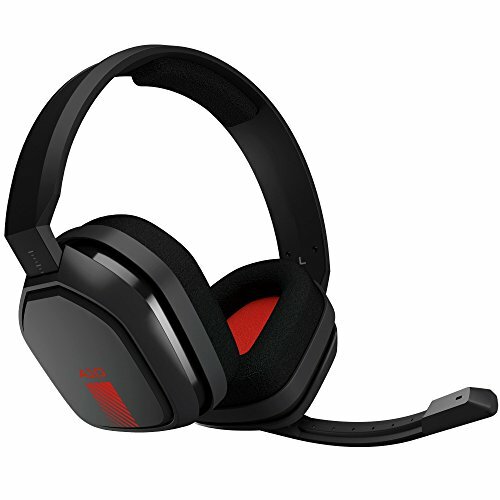 The headset comes with a detachable USB soundcard with ChatMix, which is a feature that allows you to choose the right balance between game and chat audio during gameplay. 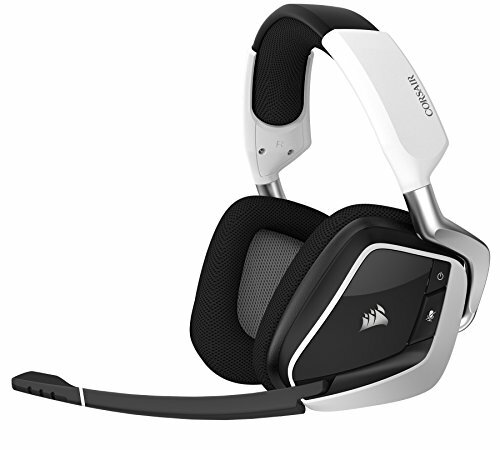 The Corsair Void Pro RGB headset connects wirelessly to any PC and works with the CORSAIR Utility Engine (CUE) software package, which provides full control over the features of the headset, including the RGB backlighting, which allows for virtually unlimited color customization. When it comes to sound, the Void Pro RGB brings to the table 7.1 surround sound with multi-channel sound positioning for unmatched immersion. But even when in stereo mode, the custom-tuned 50 mm neodymium speaker drivers bring action to life without any distortion even at high volume levels. Corsair decided to use breathable microfiber mesh fabric material instead of pleather to minimize heat and moisture buildup, and we applaud this decision. Even when worn for a very long time in hot weather, the Void Pro RGB remain comfortable and sweat-free. 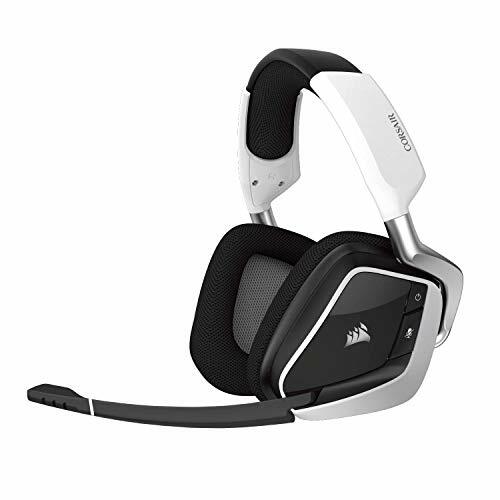 Attached to the headset is a unidirectional noise-canceling microphone with LED mute indicator. The microphone does a great job of minimizing background noise, and it’s Discord-certified. The included stand with an integrated 2.4 GHz wireless transmitter/receiver offers excellent range, coverage, and convenience, but it limits the headset only to computers running Windows. 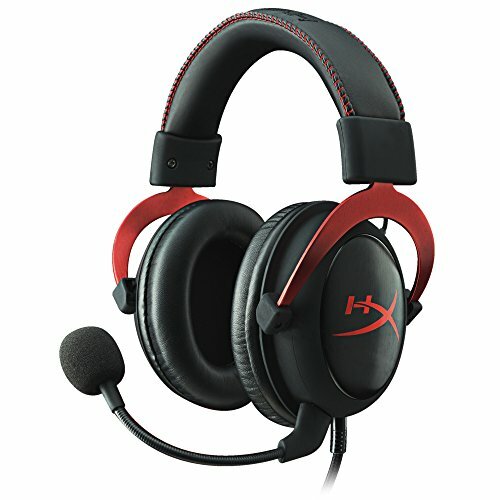 The HyperX Cloud II have been among the most popular gaming headsets with a microphone for a long time because of their great value. Don’t let the dated design deceive you: the Cloud II headset supports 7.1 virtual surround sound and is TeamSpeak-certified. The Cloud II has a noise-canceling microphone that connects to the headset with a standard audio port and can automatically adjust gain and echo cancellation to achieve the best possible sound quality on the fly. Inside the headset are large 53 mm speaker drivers with outstanding audio characteristics and the ability to simultaneously reproduce crystal-clear highs and roaring lows without any mid-range distortion. Included in the box with the Cloud II is a convenient audio control box with volume control and a dedicated mute button. Inside the audio control box is a powerful amplifier that ensures optimal surround sound gaming experience even at high volume levels. For less than $100, the Cloud II is a fantastic headset that was way ahead of its time when it was first released. Designed for PC but compatible with Mac, Xbox One, PlayStation 4, and any mobile device that utilizes a 3.5-inch audio plug, the ASTRO Gaming A10 headset has a futuristic-looking aluminum headband that gives it its distinct look and ensures excellent durability. The A10 was designed to provide gamers with an unmatched level of comfort to combat fatigue that so often settles in after long gaming sessions. Besides fatigue, the A10 gaming headset also helps gamers combat enemies and players on the opposing team with its clear sound and accurate sound positioning. 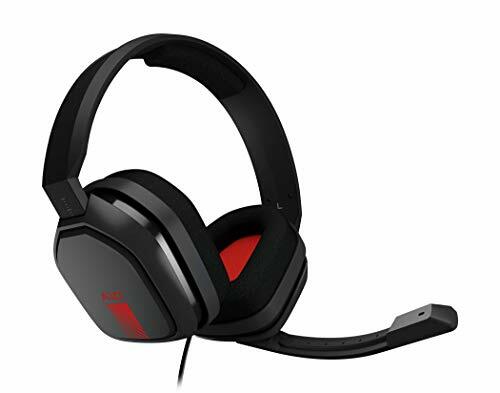 The headset comes with a built-in flip-style microphone with no control buttons. Instead, the microphone is automatically activated as soon as it’s flipped to the ready position and deactivated as soon as it’s flipped back up. Additional sound controls are located on the audio cable. While not the most comfortable headset on this list, the A10 is still suitable for multi-hour gaming sessions thanks to its generously padded earpads and moderate clamping force, which nicely balances passive noise isolation with comfort. 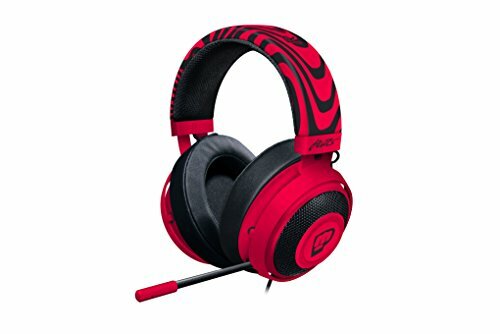 If you follow PewDiePie on YouTube, you’ve probably seen him use the Razer PewDiePie Kraken Pro V2 headset and perhaps even hear him endorse it. And if you’ve been following PewDiePie for a long time, you know that he only endorses products that he genuinely enjoys using. The Kraken Pro V2 became the favorite headset of PewDiePie and many other gamers and YouTubers because it combines outstanding comfort with impressive sound quality. The 50 mm Razer custom-tuned drivers have been designed to produce crystal clear highs and rumbling lows. The headset is made of Bauxite aluminum, which comes from a sedimentary rock with a relatively high aluminum content and occurs predominantly in Europe, Guyana, and Jamaica. We like the fully retractable microphone with in-line remote for crystal clear communication as we’ve found its audio quality to be better than many stand-alone microphones that cost just as much as the Kraken Pro V2 headset does.